Fortune’s annual 50 Most Powerful Women in Business list is here. 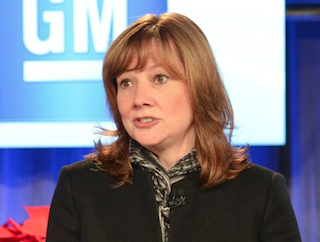 Earning the top spot is GM CEO Mary Barra (pictured). Barra is followed by PepsiCO CEO Indra Nooyi and IBM CEO Ginni Rometty. It’s supposed to feature 50 women, yet Taylor Swift somehow made the cut at 51. Weird. The first version of the Most Powerful Women in Business list was published in 1998. Carly Fiorina took the number one spot. There are 12 newcomers and 27 CEOs on this year’s version.